The country’s leading pizza chain Greenwich is braced to whet the appetite of Filipino barkadas once more with a delicious offering that overwhelms the senses and, of course, one’s craving for sumptuous pizza. The Greenwich Special Overload Pizza was recently launched at the Megatrade Hall function room of SM Megamall via a well-attended event that saw Greenwich’s unrelenting dedication to give the best ever pizza experience to its ever-growing number of satisfied consumers. Setting the Greenwich Special Overload Pizza apart are the 13 mouth-watering toppings loaded to perfection. 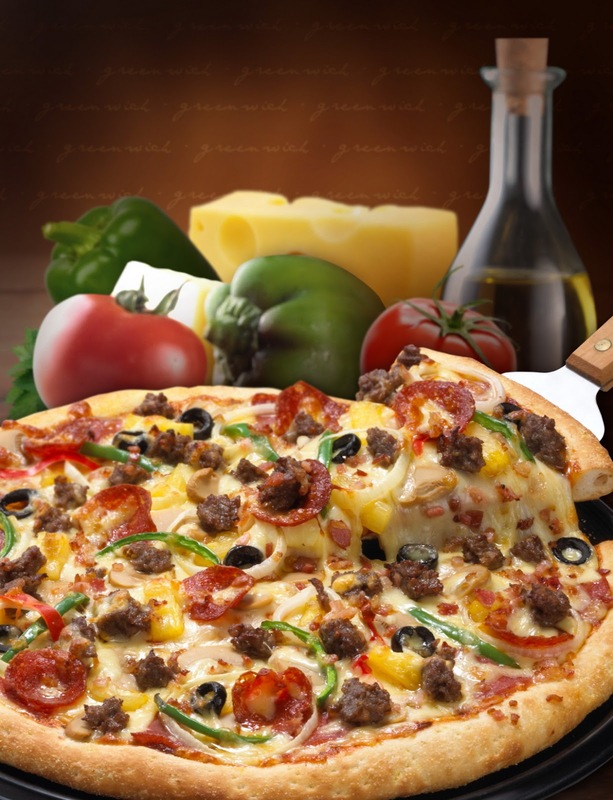 The lip-smacking experience begins with sumptuous slices of beef, bacon, pepperoni and salami. Complementing the overload of meaty goodness is a sprinkle of fresh veggies which includes mushroom, olives, red and green bell pepper, onion and minced garlic. Chunks of glazed pineapple add a dash of sweetness while a generous serving of mozzarella and cheddar cheese provides a truly appetizing finish. All these are served on a hot freshly made crust that’s crisp on the outside yet soft and chewy on the inside. Showing how Greenwich Special Overload Pizza can bring a change of heart to any barkada were several personalities. Eric Tai, Andrew Wolff and Chris Everingham of the Philippine Volcanoes, and Mia Bayuga, Tin Gamboa, Jessica Mendoza and Andi Manzano, collectively known as the radio vixens of Magic 89.9, comprise the two sets of fun-loving barkadas whose love for pizza has led them to the better-than-any-other yumminess of Greenwich Special Overload Pizza. The two barkadas shared a candid moment during a fun game that put their bond to a friendly test and find out the barkada that’s better than any other just like the new Greenwich Special Overload Pizza, which is now their pizza of choice. After the games, the Vixens and the Volcanoes joined the guests in reciting the witty and fun commitment lines as a symbolic gesture to show that Greenwich Special Overload Pizza is indeed better than any other that is why it’s their barkada’s choice. In addition to the feature of Greenwich Special Overload Pizza, the event also introduced yet another reason why this favorite pizza chain is better than any other. The new Greenwich Crispy Glazed Chicken is here to make waves especially among chicken lovers and who go for filling and delicious rice meal to get them through a busy day. Greenwich Crispy Glazed Chicken uses an extra special marinade that seeps through each extra large piece. It is then cooked to an inviting crispiness, coated with a lip-smacking sweet and mildly spicy glaze that lingers on the taste buds, and served with a steaming cup of rice. It is no doubt that Greenwich continues to score with its winning products in Greenwich Special Overload Pizza and the new Greenwich Crispy Glazed Chicken. 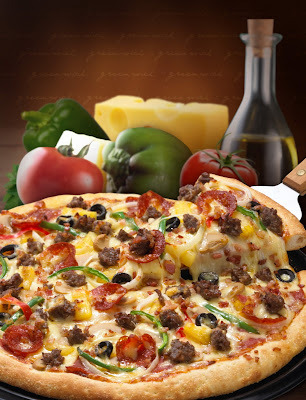 With the right combination of fresh and high quality ingredients served in an overflowing and extraordinary way, Greenwich has rightfully earned its reputation as the pizza and pasta chain that is 3x more preferred by pizza lovers of the country than any other brands in the market. “It is indeed overwhelming to get such response that’s why keep on coming up with ideas on how we can please our consumers more. With innovative products such as our Greenwich Special Overload Pizza and Greenwich Crispy Glazed Chicken, it seems like Greenwich is now better than any other,” said De Castro. With Greenwich Special Overload Pizza and Greenwich Crispy Glazed Chicken in the market, pi foodies across the nation will surely make a beeline in their favorite Greenwich stores and find out for themselves why it is better than any other pizza chain in town. JULY 26, 2012 "MEDIA LAUNCH"